Just recently I was treated to a night out at "The Bee" by my favorite USAFA kiddo. I was visiting for the weekend and was informed that we would be going out to celebrate a friend's birthday at The Golden Bee at The Broadmoor in Colorado Springs. Unbeknownst to me, this was some kind of torturist birthday ritual started by our extended host family in Colorado Springs. The highlight of the evening is the massive amounts of beer you can drink in one sitting. Your favorite beer is served in "yards" and "half yards" depending upon your ability to pour it into your mouth without drowning or involving the table next to you. Drinking a yard of ale is actually a famous drinking game in pubs in the UK. I must say after watching several hours of this, it does appear to take some actual skill, although I don't expect to see it as an Olympic event any time soon. You can all probably guess how the drinking game ended, so I will tell you a little about "The Bee". The Golden Bee is a 19th century pub that was shipped to the US from London in pieces and later purchased and reassembled at the request of William Thayer Tutt, Chairman of The Broadmoor. Mr. Tutt was looking to offer an authentic "English Pub" experience for his many guests visiting Colorado Springs so he purchased the pub from an English Ale company known as Whitbread. Whitbread asked, as part of the purchase agreement, that Mr. Tutt serve their ale. And so he did. In May of 1961, The Golden Bee opened in the lower section of the International Center of The Broadmoor. They have since served yards and yards and yards of ale and become a favorite for locals and tourists alike. The Bee isn't just about the drinkin' though. The authentic English Pub food is a great compliment to the atmosphere and libations. That night I had the age old English favorite, Fish and Chips. The fish was very moist and flavorful while being served in what looked like an old newspaper, just the way they did it in merry ol' England. The menu also offered other traditional English fare such as Shepherd's Pie and Bangers and Mash. What else could you possibly want from an old English pub besides beer and food? Well, how about a fun time singing along to tunes being played by the piano man? That's right, after dinner you get a chance to sing along with the rest of the crowd from The Golden Bee song book. Luckily there are enough to go around for those of us that don't know all the words. There is tons of fun for the whole family at The Bee, but watch out for the bees buzzing about the room, one might land on you. Unfortunately, The Bee is not very large in size. It is first come, first served and they do not take reservations. So, get there early or you will be one of those people in the lobby looking in and watching the rest of us having a grand ol' time, pub style!! The Golden Bee is located at 1 Lake Avenue in Colorado Springs, CO. Here is an innovative new concept when it comes to the "all-nighter" on an airplane...the Jumbo Hostel. Now you can sleep in luxurious accommodations on an airplane without ever leaving the ground. You can actually spend the night on board a real jumbo jet and never leave the airport. To some, this may sound like an incredible waste of time, but to others it could be quite the novelty in sleep-overs. The airplane, a decommissioned model 747-200 jumbo jet was built in 1976 and was last operated by Transjet, a Swedish Airline that went bankrupt in 2002. It was originally built for Singapore Airlines and later flew for Pan Am. The airplane is now located at Arlanda Airport on it's permanent concrete foundation after undergoing a complete conversion. Over 450 seats were removed to make room for what is now a unique sleeping experience for guests. 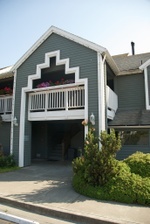 The hostel is built like any house, subject to regulations and standards. It now serves as a spectacular and (not so) original landmark at the Arlanda Airport. There are 25 rooms on board this newly renovated Jumbo Hostel with a total of 85 beds in all. The rooms are configured with 3 bunk beds in most rooms. There are also quad dorm options, all with separate shared shower and bathroom facilities. There is one luxury suite in the converted cockpit with a panoramic view of the airport. If sleeping in an airplane (when you don't really have to) is not exactly your cup of tea, well then, you can just stop by for...well, a cup of tea! There is a cafe' where you can purchase breakfast, coffee, cookies and snacks. You can also walk along the left wing observation deck and experience the feeling of standing on top of a real Jumbo Jet's wing. In the travel industry convenience is a big plus, so if you have an early flight to catch, staying right at the airport (literally) may be the solution for you. A toast to my 100th post!!! I am sure you all know by now that hubby travels a lot for work. Well, his last trip found him in none other than the famous Raffles Hotel Singapore where the legendary Singapore Sling was created around the year 1915. Apparently, people really knew how to mix a cocktail back then because this particular drink is very popular (and tasty, I was informed). It has been said that the recipe for the original Singapore Sling may have been revised slightly over the years (or perhaps just remembered incorrectly), but the Long Bar found at the Raffles Hotel makes it as close to original as they know it to be. Below you will see a picture of the recipe card used at the Long Bar for their version of the decadent drink. So, just in case your travels won't be taking you to Singapore any time soon, I am sharing this with you in hopes you will toast my 100th post here on The Savvy Tourist. The Singapore Sling was created at Raffles Hotel at the turn-of-the-century by Hainanese-Chinese bartender, Mr. Ngiam Tong Boon. In the Hotel's museum, visitors may view the safe in which Mr. Ngiam locked away his precious recipe books, as well as the Sling recipe hastily jotted on a bar-chit in 1936 by a visitor to the Hotel who asked the waiter for it. Originally, the Singapore Sling was meant as a woman's drink, hence the attractive pink colour. Today, it is very definately a drink enjoyed by all, without which any visit to Raffles Hotel is incomplete. 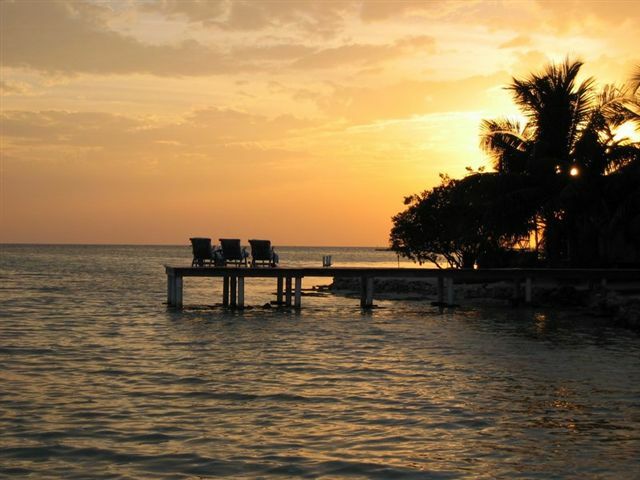 Does this cold winter weather have you dreaming of warmer climates? Well, check out my Travel Specials page where Pleasant Holidays has teamed up with Marriott Resorts to offer you some great deals for travel to Hawaii, and Palace Resorts has some great incentives for traveling to Mexico (like you need incentives). And here is the biggie.......I finally released my Disney blog this week for public consumption. Keep in mind, we are still under construction, but please stop by and visit Mickey and Me...........A Love Story! I currently have Jay over at Dat Money working on a cool banner for Mickey. Jay is running a fabulous special for the month of January and does some really great work. Check him out!! One of my readers wrote in to update me on what's going on in "The World." She wasn't talking about the world as we know it, but rather the islands of Dubai that are shaping up to resemble the world. 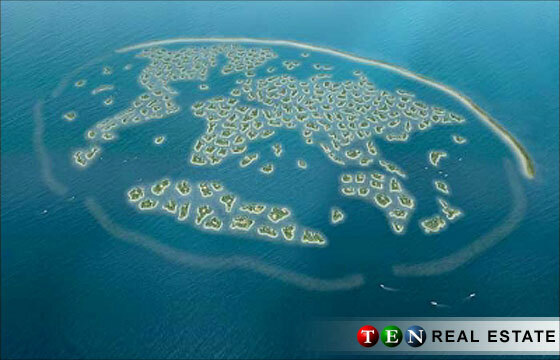 The World is a man-made archipelago of 300 islands in the shape of a world map currently being built 4 km (2.5 miles) off the coast of Dubai, United Arab Emirates. The World is one of a series of artificial island projects in Dubai, along with the Palm Islands, and like the other islands The World is being built primarily using sand dredged from the sea. The only access to the islands is by boat, helicopter, or seaplane. There are many speculations as to the exact plans for each island. Resorts and private hideaways for the rich and famous are among some of the rumors afloat, including islands purchased by Tommy Lee, Rod Stewart and David Beckham. Let's hope they will have some public access to some of these "posh" resorts (Oh, I kill me!) 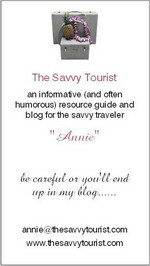 for us savvy tourists!! I'll keep you informed. Thanks to Cleo for the info!! 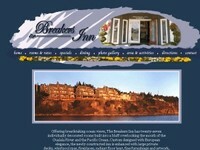 If the cost of your honeymoon or romantic getaway has no price limits, then have I got a place for you!! 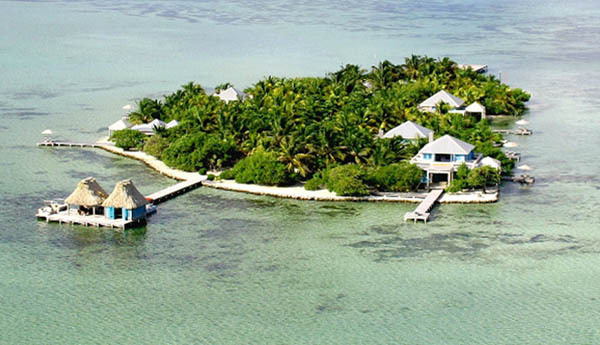 This is paradise on a private island, just off the coast of Belize and Ambergris Cay. They offer private oceanfront bungalows with private plunge pools, personal housemen and three personally tailored meals per day. 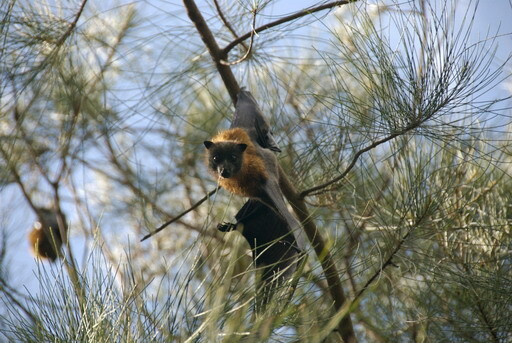 So if this sounds interesting to you check them out at Cayo Espanto. Traveling with pets can be a very daunting task. I found this to be too true when I had to travel across country with a dog and 3 cats for a family move. It was then that I discovered my animals are not the adventurous type. (I must've rubbed off on them.) Instead of taking my pets with me when I travel, I usually pay a pet sitter so that they may remain in the comforts of their own home and overly spoiled lives. Better yet, when my parents do not travel with us, the animals get the benefit of being loved and spoiled by their grandparents. This is a lot like handing over your kids to grandparents. Sometimes, they just aren't as glad to see you upon your return because grandparents are much more attentive. Well, despite the fact that my pets are not the jet setting type, I know many people travel with pets now more than ever. There is a "toy dog" traveling trend that I believe was started by celebrities awhile back and looks as though it is no more trouble than carrying a purse. Well, it isn't really that easy. Whether you are taking your beloved furry friend across state line in your car or across the country in an airplane, there are many regulations that must be adhered to. In my search for better information about traveling with pets, I found a website that I really like. It is called Pets On The Go. It does require a small membership fee of $15 but I think it is worth it for the extensive database of information they offer. Let me know if you have any stories about traveling with pets!